The housing starts report put pressure on USD and today CPI data and the monetary policy meeting is being released in Eurozone. 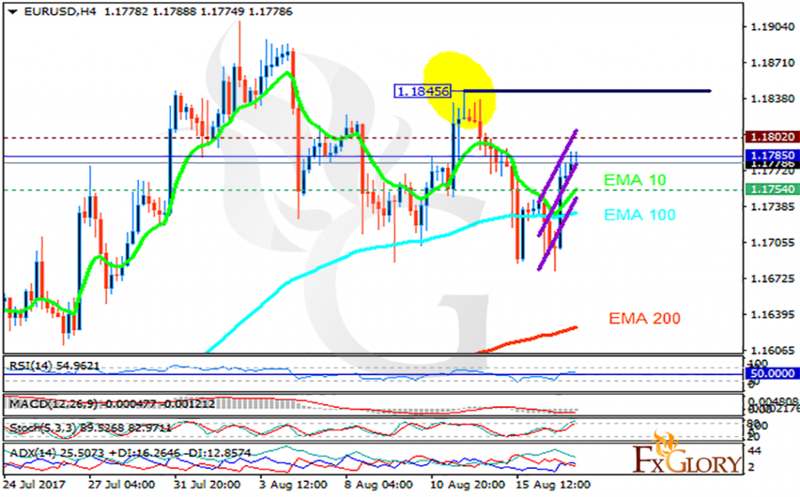 The support rests at 1.17540 with resistance at 1.18020 which the weekly pivot point at 1.17850 is located in between the lines. The EMA of 10 is moving with bullish bias along the ascendant channel and it is above the EMA of 200 and the EMA of 100. The RSI is moving above the 50 level, the Stochastic is showing upward momentum and the MACD indicator is in negative territory. The ADX is showing buy signals. Long positions are recommended towards 1.185.